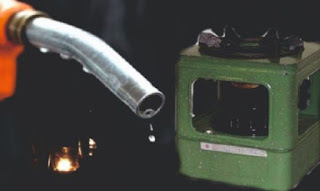 The Department of Petroleum Resources (DPR) has taken its awareness campaign against kerosene explosion to Watt Market and Etim Edem Park in Calabar. Mr. Bassey Nkanga, the Operations Controller of DPR in Cross River, said on Wednesday that the awareness campaign became necessary due to the recorded cases of kerosene explosion in the state. He said the explosions had claimed many lives and left others with severe burns. Nkanga, while addressing residents at the market, advised them to always have a dedicated gallon for kerosene usage. He also told residents not to patronize kerosene hawkers, but rather gets the product from filling stations or licensed surface tank operators. Nkanga frowned at a situation where kerosene hawkers adulterate the product with other substances to maximize profit. “Our investigations reveal that some people do not know the right way to use kerosene and that is why we have decided to embark on this campaign. “Today we are enlightening people on the safe usage of kerosene and the appropriate sources of getting the product. “People should always ensure their lantern or stove is cool before the introduction of kerosene. “For safety, a gallon should be dedicated only for kerosene and not a gallon for both fuel and kerosene as this is very dangerous,” he said. A trader, Mrs. Regina Isong, lauded the sensitization initiative of DPR, saying it was for public safety. The operations controller had earlier held a meeting with surface tank operators and officials of Independent Petroleum Marketers Association of Nigeria (IPMAN) where he read the riot act to them. He warned the operators to register and obtain their operating license. Nkanga said that the Nigeria Security and Civil Defense Corps (NSCDC) and the Department of State Service (DSS) had been mandated to arrest any dealer without a valid license. Mr. Pius Nwuchola, Head of Operations of NSCDC in the state, said the corps had the mandate to tackle illegal dealings in petroleum products. He said the meeting demonstrated the synergy between the NSCDC and DPR. “We have resolved to swing into action immediately by going to the urban and remote areas where surface tanks are being operated to ascertain their operating licenses,’’ he said.